Joe Mc Kay grew up with a precocious ear for language. Standing in his baby carriage, he "read" aloud the full names of grocery items, e.g., "Kemp's Sun-Rayed Tomato Juice," to audiences of appreciative shoppers as his gloating parents held up the cans and boxes. He listened with wonder to the many accents and dialects he heard in the streets and on the subways and buses of NYC. Contrary to family legend, however, his first words were not oy vay! He studied Latin and French extensively in High School. Later, at Cornell University, his own New York accent yielded to a kind of non-descript Mid-western sound that attendees at his lectures hear today. After graduation he chucked his provincialism altogether as he travelled widely, including living for a time in Germany and Ecuador. 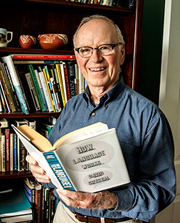 Following a career in labor relations and human resources with Pan American Airways and Avon Products, and as a founding partner of an HR consulting firm, he turned avidly to the study of words, language and literature. 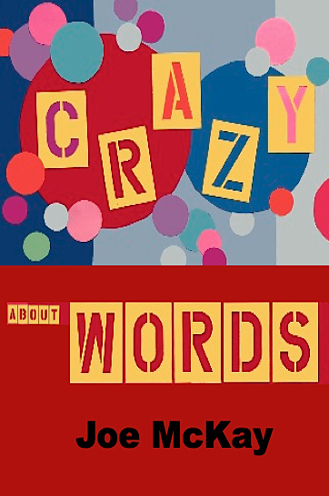 "Crazy About Words" was born in 2003. His ears are ever alert to the sounds of words and to the gestures with which they are delivered, and his eyes are always peeled for how poets and writers use our wonderful English language. Insightful and humorous, these short essays cover the waterfront of topics for readers who find the English language fascinating: Words lost and gained, the "Dictionary Wars," Redundancy, Greek debt, Ink Horn terms, Mondegreens, Words as madeleines, Silent Knights, and 4-letter words, are but a few examples. The author uses poetry, literature, and notable quotes to illustrate. He urges readers not to commit "lexicide" but to help keep words alive by using them, and to invent their own words when necessary. Art of The Times has to say!